Apart from being a great male role model, an educator and a friend for the children at Onni, Narayan’s main role is to manage the everyday activities and the organisational matters around the house. His duties include documentation and reporting as well as teaching the children and providing them with counselling in case extra support is needed. 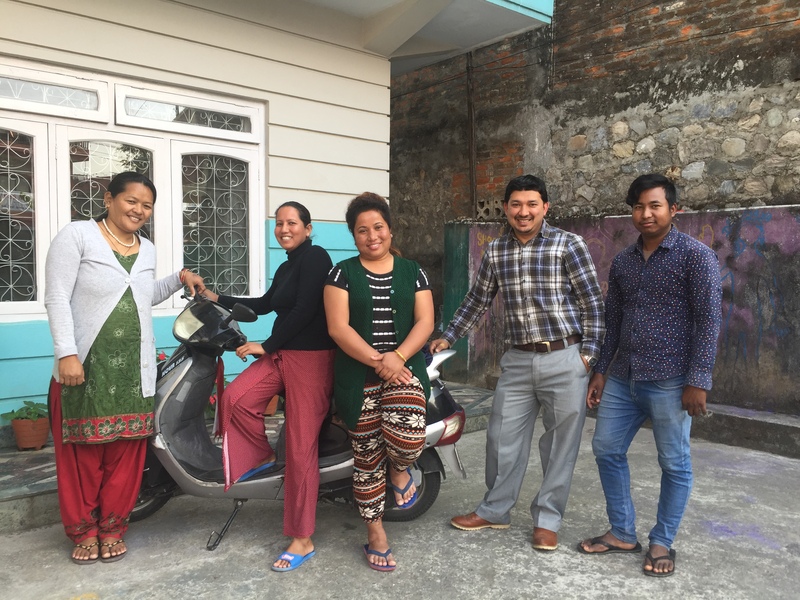 Narayan has completed a Master of Social Science and has over 10 years of experience in teaching at a local school while also working under the NCF organisational umbrella. During his years as the House-in-Charge at Onni, Narayan has furthered his professionalism through extensive training in child-counselling and organisational management. Narayan declares his passion in life is to make children good citizens for Nepal’s future! Usha is a High School graduate and has been working in Onni from the very beginning. As the mother of the house Usha makes sure the everyday life for the children runs smoothly. She ensures that the house is equipped with all the necessary supplies from food to clothes, and takes the children to their activities and any appointments or additional care they might need. Usha supports the children with their education, helps with homework and exam preparations, and guides them with choices and challenges in life in general. During her years at Onni, Usha has received regular Montessori training to further her knowledge and skills in child care and tutoring. Punam has been working in Onni from day one. Punam is responsible for the kitchen, and with her delicious cooking ensures that the children receive the best quality and tasty nutrition every day. She really is the soul of the kitchen teaching and guiding the children to prepare food, cook and bake, and be part of the everyday house work routines in general. Punam’s youngest son, Anjan, also resides at Onni to be close to his mother and has indeed become one of the precious Onni children as well. Samjana is the newest edition to the Onni family. She is a Higher Secondary School graduate and has additionally undergone specific vocational training to become a house sister. Samjana’s role is to help the children in their everyday activities whether getting ready for school, doing homework, washing, cleaning or engaging with regular activities outside Onni. Additionally she is a good friend and a counsellor for the children supporting them with any worries or concerns. Atma is a great help around the house. He is the trusted handy man who steps in in the case of any maintenance or repair work, but his presence also adds to the security for the children and the staff. Atma is currently studying at a higher secondary school and is an invaluable support in helping the children with their education.